A Ceramic Coating is not a substitute for Paint Protection Film, which provides a more comprehensive form of defensive. Rather, it is a premium wax alternative. A Ceramic Coating creates a permanent or semi-permanent bond with a vehicle’s paint, meaning that it does not wash away or break down and does not require repeated application every few months. What Does a Ceramic Coating Not Do? However, a Ceramic Coating is not a miracle, super-cure product that will solve any and every problem for your car. Thus, it is important for you to know what a Ceramic Coating does not do. 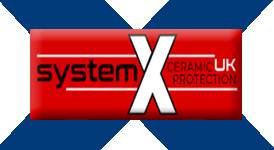 The scratch-resistance of a Ceramic Coating is often exaggerated. Though some small scratches can be repelled by a Ceramic Coating, a coated vehicle will not be completely resistant to the risk of rock chips or parking lot scratches. Furthermore, improper car washing techniques or automated car washes will still create swirl marks on your vehicle’s surface. It is important to know that a Ceramic Coating is not a substitute for more serious scratch or chip protection (such as Paint Protection Film, also known as Clear Bra), nor does it eliminate the need to wash your car in a proper manner in order to avoid swirl marks. A normal drop of water contains a certain amount of dirt or minerals. When water evaporates on your vehicle’s surface, the minerals are left behind, creating visible spots. Detailers and consumers may assume that the hydrophobic quality of a Ceramic Coating will eliminate water spotting, since water slides off the coated surface. While it is true that some water will be repelled from the hydrophobic surface, other water droplets will bead and remain on the vehicle, creating the opportunity for water-spotting. A Ceramic Coating keeps your car looking like-new with comparatively minimal maintenance, not no maintenance. The road is a dirty place. If you are driving your car, it will get dirty, Even with a Ceramic Coating, you will still need to wash your car regularly in order to maintain its look. The benefit of a Ceramic Coating is that the cleaning process will be easier. Moreover, having a Ceramic Coating means that you will no longer have to wax your vehicle every few months, eliminating a significant part of maintaining your car’s exterior. Thus, a Ceramic Coating does not make your vehicle maintenance-free, but it does mean that with less work you will be able to maintain better results.